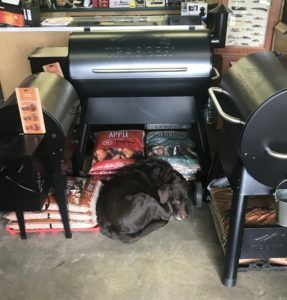 J&N Feed and Seed in Graham is your local dealer for Traeger Grills and Traeger wood pellets. Be it smoking, grilling, wood-fired convection oven, or BBQ, the Traeger Grill can satisfy all your grilling needs. Stop by and check out our selection of grills, including the new Pro-Series 575 and Pro 780 WiFi pellet grills. This entry was posted on Thursday, March 28th, 2019 at 2:26 pm	and is filed under News & Updates. You can follow any responses to this entry through the RSS 2.0 feed. Both comments and pings are currently closed.